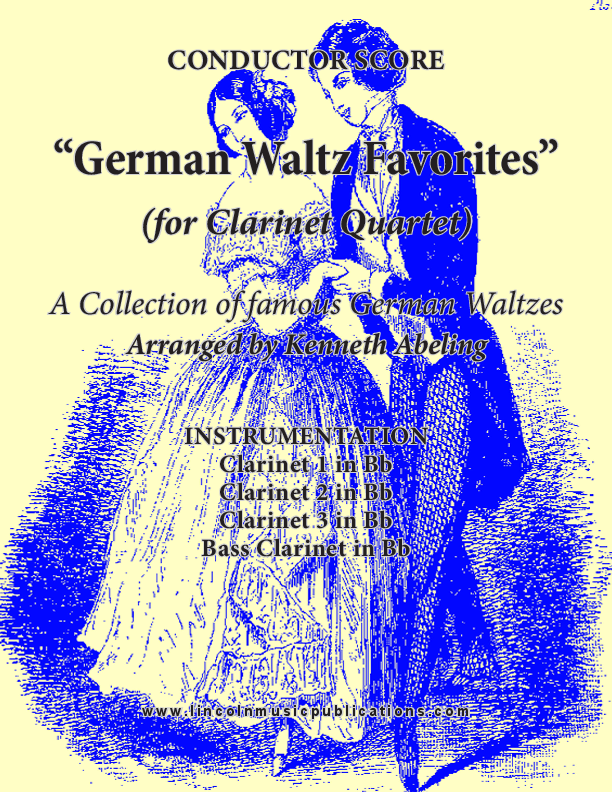 German Waltz (Oktoberfest) favorites arranged here for Clarinet Quartet by Kenneth Abeling. This is a collection traditional German waltzes and highly appropriate for Ocktoberfest-sh, or any other beer drinking occasions! The popular titles include: Im Munchen Steht Ein Hofbrauhaus, Schneewalzer, Du, Du, liegst mir am Herzen and Oh du lieber Augustin. This is an advanced intermediate arrangement but suitable for professional musicians as well!! Playing Time 3:20.